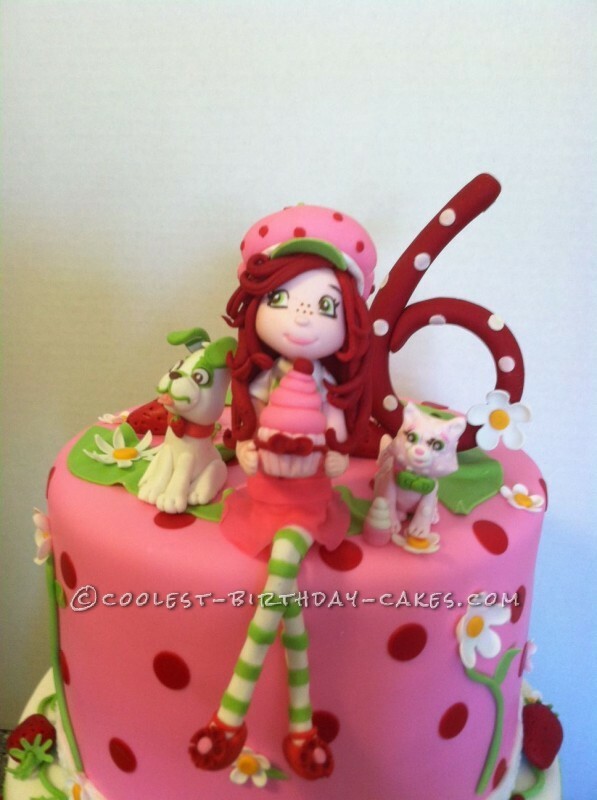 I made this Strawberry Shortcake in 3 steps: First I made the figurines – Strawberry Shortcake, the cat and dog, strawberries, the #6 and name sign with gum paste a week ahead of time. I baked the cakes 2 days before the cake event. And finally decorated the cake the day before the event. My customer was very pleased with the outcome and said it exceeded her expectations tremendously. Her guests were completely amazed, as well! 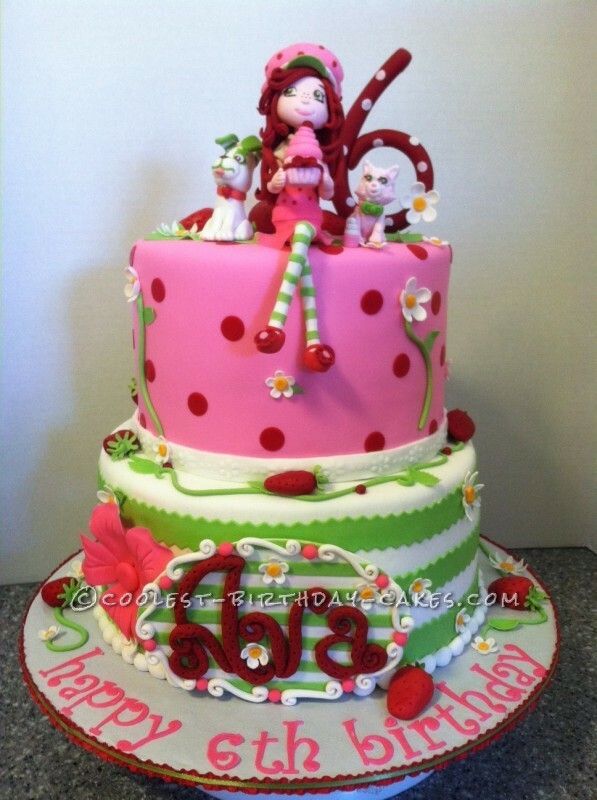 To this day, my customer has kept Strawberry Shortcake and her pets as keepsakes. So cute!